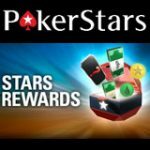 The new 888 Poker Rewards Store features a variety of items which players which include: cash, bonus, tournament tickets and freeplay. Climb the levels of the 888 Poker rewards program and get entry to over $100,000 free tournament prize pools every month. Each time a new level is reached, players will get Gold Tokens which can be used to redeem prizes. 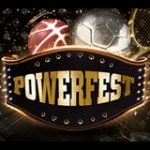 Complete the challenges on the poker tables, casino games and sports. Get one point for every ¢1 spent on rake and tournament fees playing any real money poker games. 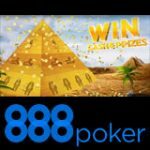 The all new 888 Poker rewards program lets players earn points and gold tokens which can be used to redeem prizes of their choice. Players will increase in levels as they accumulate the required amount of points and also receive Gold Tokens for each level they climb. 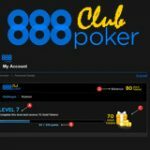 You'll find the 888 Poker Club section by clicking on the button under the cashier in the lobby, options include: points requirement, challenges progress and Gold Tokens. 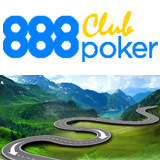 Players earn points by completing 888poker Club challenges and achieving higher player levels at the same time. The main challenge Hit the Poker Tables you'll need to earn the required amount of points playing any real money poker games. The new player levels are the way of tracking a players progress in the new points program on 888poker. There are an unlimited amount of levels to achieve with extra benefits as you climb. Player levels will always increasing as you play, you'll never decrease in levels, like the old 888 poker rewards system. Hit the Poker Tables - get 100 points for each $1 spent on rake or tournament fees. Be Active - get points for being as active as possible, consecutive days, weeks, months. Friends with benefits! - invite a friend and get points when they deposit. Get Lucky! - get points by playing online casino games at 888casino. You Bet! - get points by placing sports bets on 888sport. See the point requirements for each major level and how many 888 poker gold tokens you'll receive for every level achieved. EG: Earn 1 point and unlock level 1 and get 10 gold tokens, then earn 10 points to unlock level 2 and get another 10 gold tokens. Players can choose how they would like to redeem their Gold Tokens, simply click on the 888poker club button under the cashier in the lobby and select the Redeem tab. 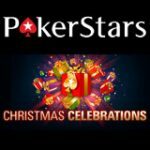 Choose from a selection of prizes including: tournament tickets, poker bonuses, casino bonuses and freeplay, cash or selection of physical items and poker products from the 888 poker rewards store. 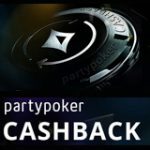 Get 888 Poker Gold Tokens for achieving a new level, your tokens have no cash value and will expire within two months of having an inactive account. The new 888 Poker Club free tournaments now feature a schedule of over $100,000 in guaranteed prize pool every month. 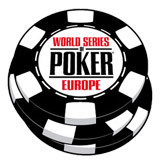 These free tournaments are restricted to players who have reach the required level in the 888 poker rewards program. There are no tournament tickets needed, simply increase your player level to enter tournaments with bigger prize pools. the minimum entry is level 5.